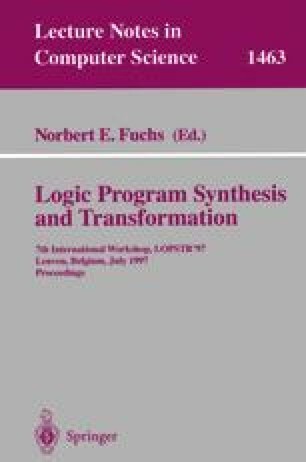 This paper outlines a fully automatic transformation for proving termination of queries to a class of logic programs, for which existing methods do not work directly. The transformation consists of creating adorned clauses and unfolding. In general, the transformation may improve termination behavior by pruning infinite branches from the LD-tree. Conditions are given under which the transformation preserves termination behavior. The work presented here has been done in the framework of the TermiLog system, and it complements the algorithms described in .